he queues at the door make it clear that something good must be happening inside Casa Guedes. And it is. Inside you can find the most well-known pork sandwich of the city. 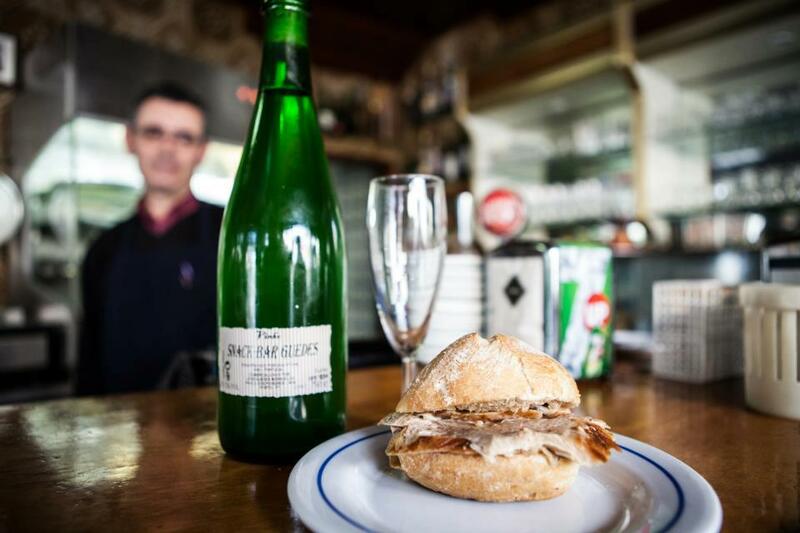 Executives, locals and tourists of all ages, all go for the same reason: the shack that is on the counter and that for 30 years is cut by the owner of the restaurant, César Correia. 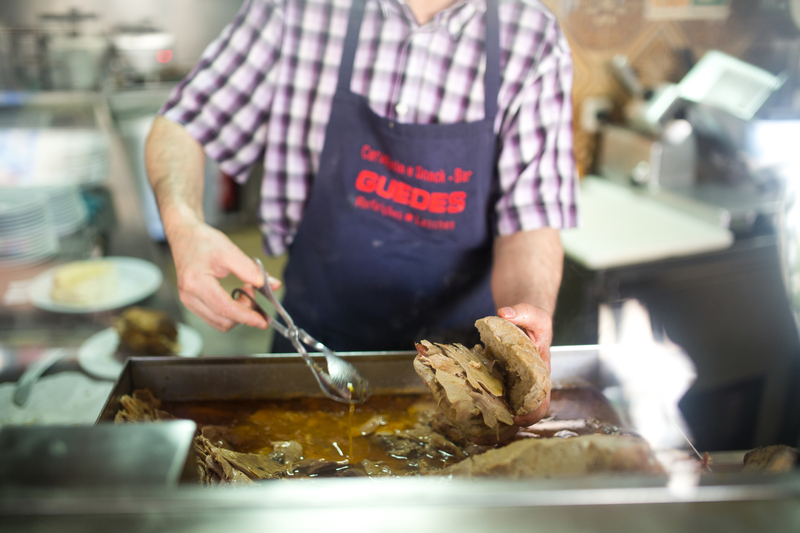 One by one, the pork legs are slowly roasted in the huge kitchen oven behind the counter at Casa Guedes. They are then cut directly from the tray and placed inside the bread with the sauce itself, made of some secret ingredients. Cheese may or may not be added to the cheese. 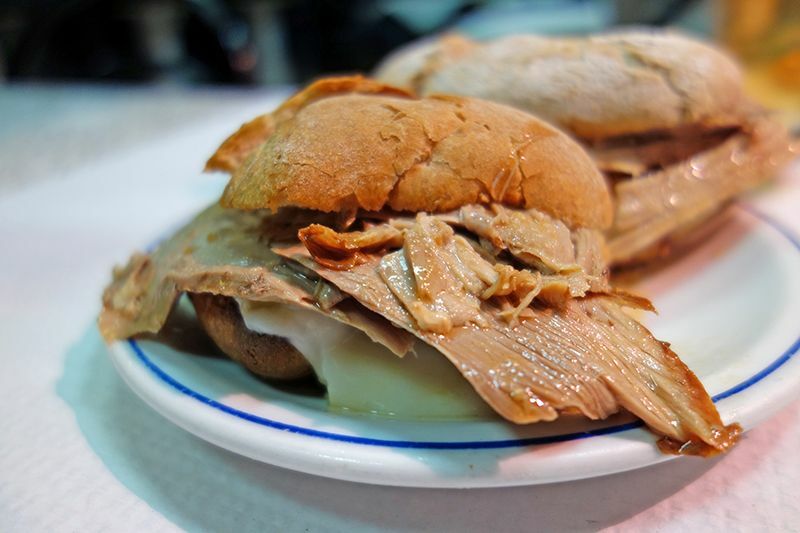 In addition to the recipe for pork sandwich, Casa Guedes is known for the skills for other typical Portuguese dishes, such as "sarrabulho", "alheira" or a big variety of sausages and national cheeses.